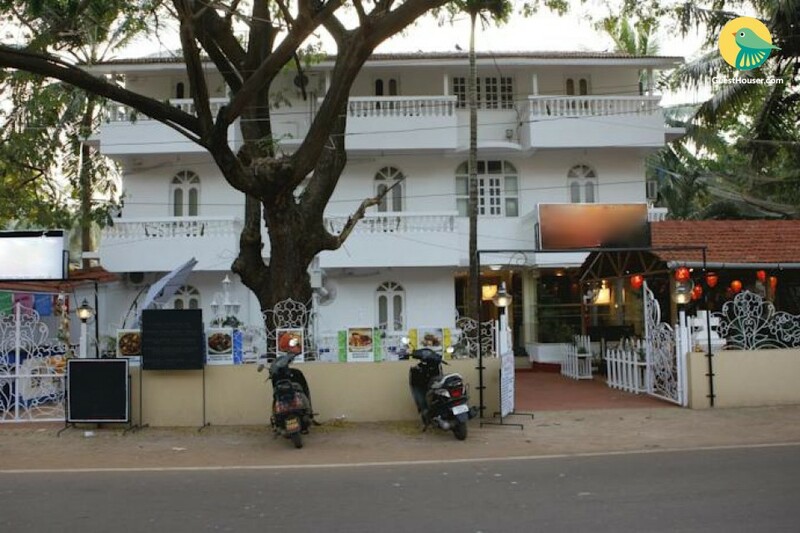 Located in Candolim and about 500 m from the waterfront, this is an offering of a pleasant one-bedroom beachside villa that promises travellers a great tropical holiday! The room on offer here has a rather genial ambience, with plush twin beds with a decorative headboard, a large wall-mounted mirror with a counter, doubling up as a writing table, and a chair for convenience. The room opens out into a large balcony sit-out, where you can enjoy your morning cuppa or a cool drink in the balmy evenings, with swaying palm fronds for company. 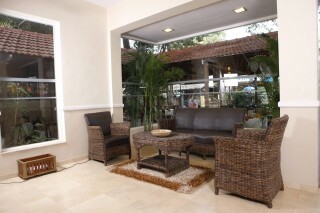 The living room is furnished with cane-art seaters with a matching coffee table. 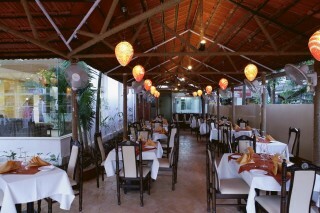 Guests can choose from a variety of dining options—when the weather is pleasant you can eat al fresco on one of the tables set up under an old tree, or in the partially covered indoor dining area with wicker lamps and Victorian-style chairs providing ample seating. 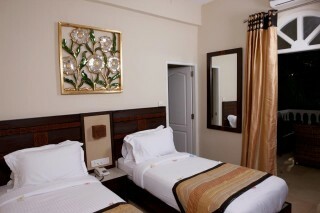 All the rooms are well furnished and well appointed to meet the needs of the guest. The rooms are well maintained with all the basic facilities keeping in mind the comforts and suitability of the guest. The rooms have essential furnishing, like a side table and a wardrobe. 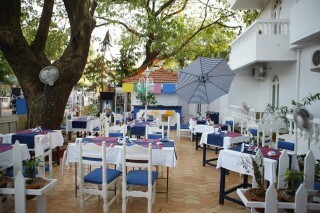 Attached bathrooms with toiletries and linen are provided. Hot water is available around the clock. The rooms also feature a television, a mini-refrigerator and an attached balcony provides panoramic views of the surroundings.